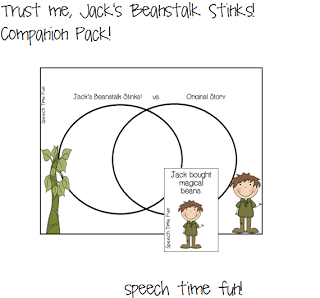 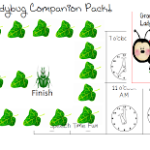 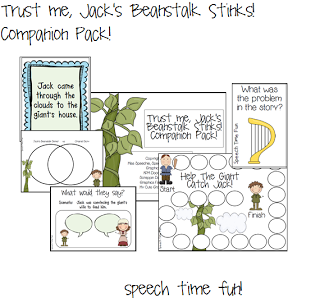 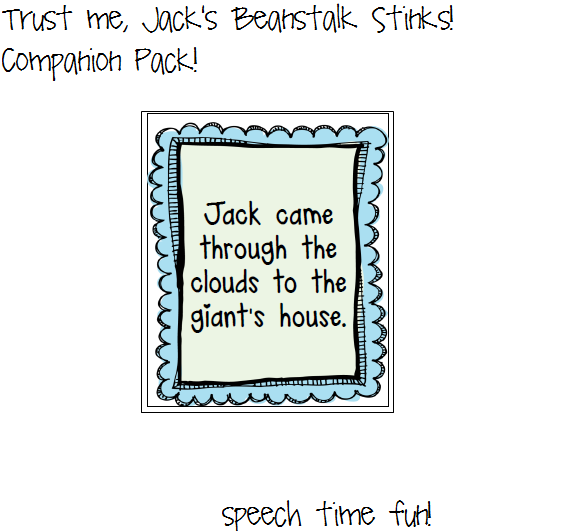 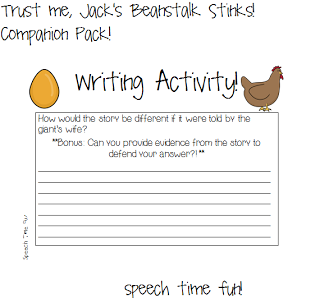 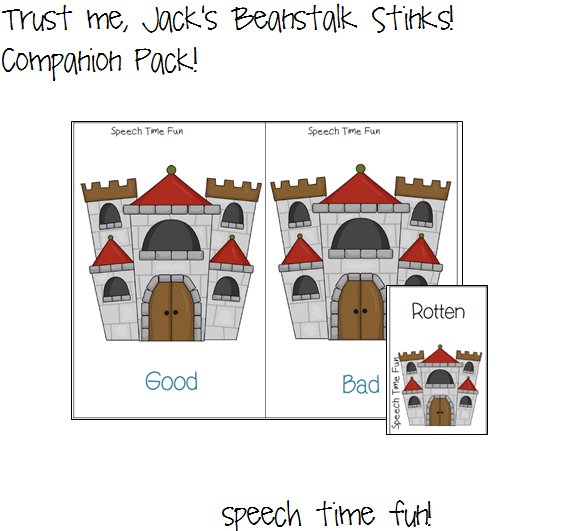 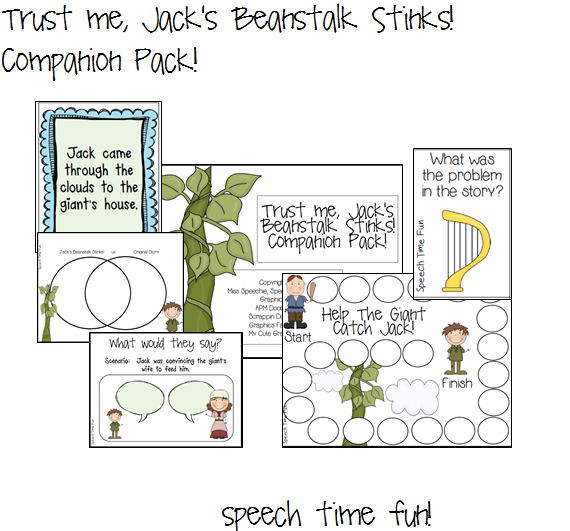 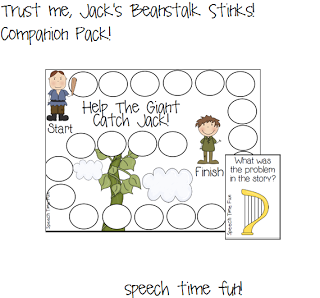 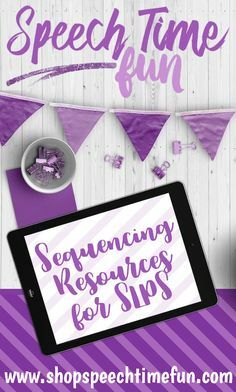 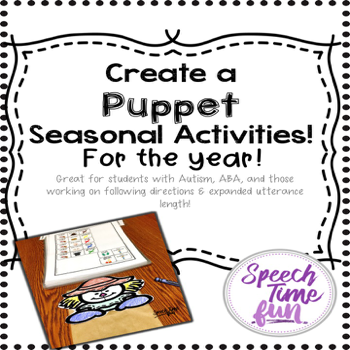 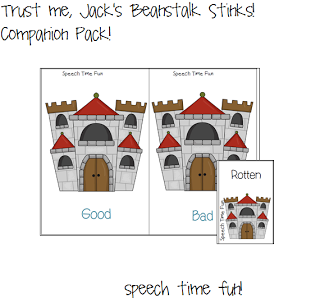 This download is filled with activities to use with the story, Trust Me, Jack’s Beanstalk Stinks! 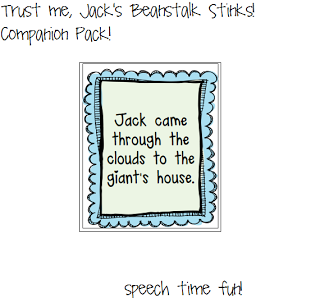 : The Story of Jack and the Beanstalk as Told by the Giant (The Other Side of the Story) by Eric Braun. 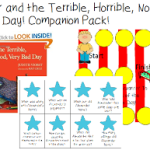 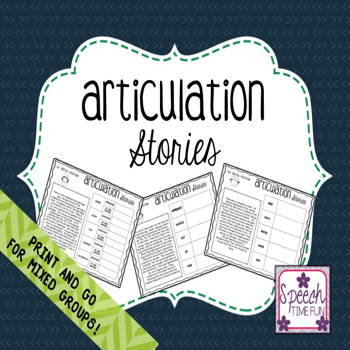 -Adjective Sort: Students can sort adjectives used in the story into “good” and “bad” categories. 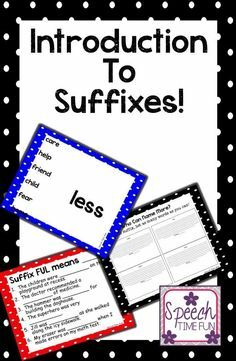 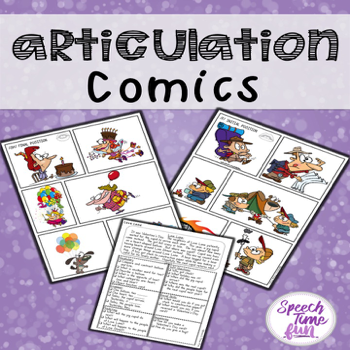 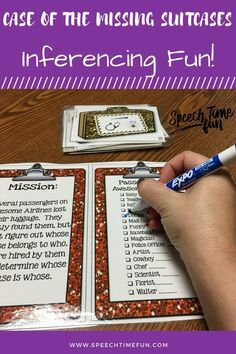 Can your students recall or use reasoning skills to identify which adjectives were used by who to describe which character? 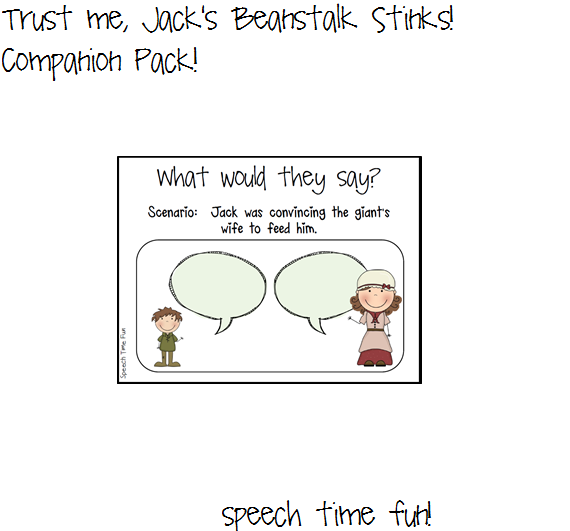 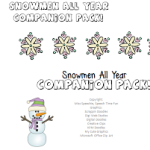 -Comprehension Questions Game: Questions based on the story. 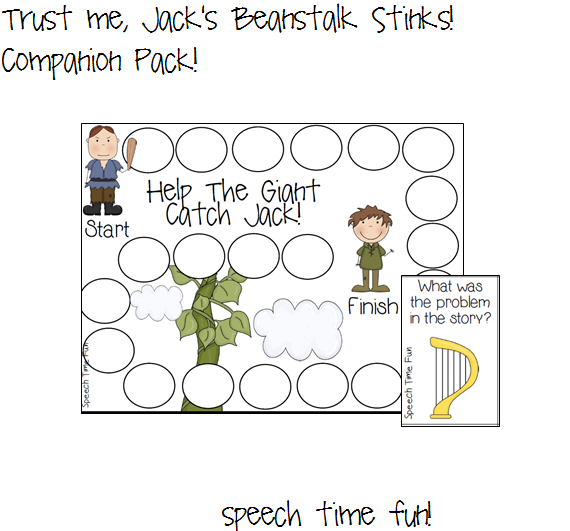 Use with the board game provided. 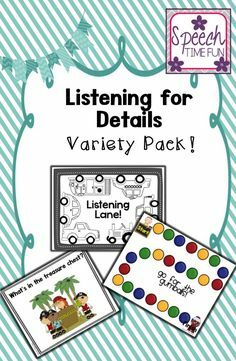 This game targets a variety of wh- questions and yes/no questions as well! 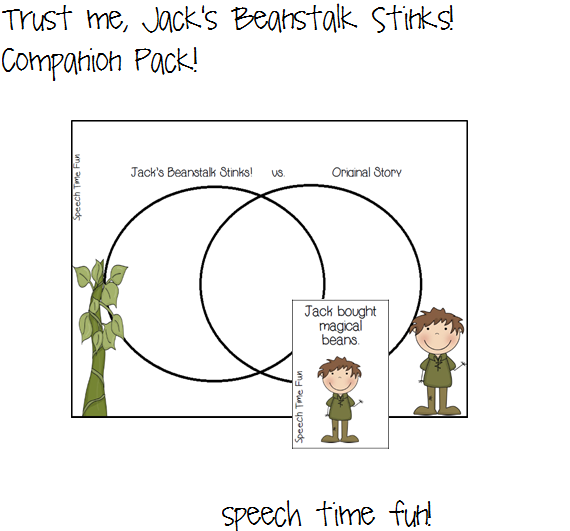 -Compare & Contrast: Students can use the Venn Diagram to compare this version & the original story. 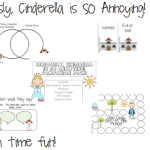 You can decide whether to just provide students with a copy of the diagram and have them write in their answers or use the sorting sentences and have your students place them into the correct spot on the Venn Diagram. 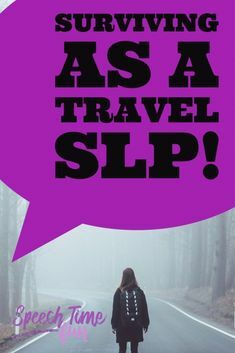 -What Would They Say? : A variety of scenarios are provided with speech bubbles. 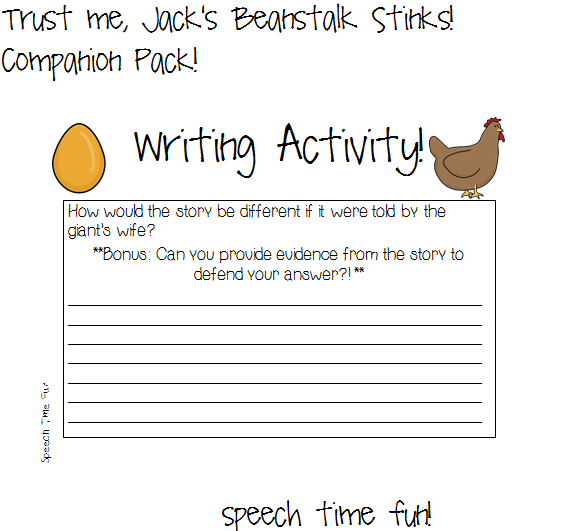 Students should write what they think the characters would say. 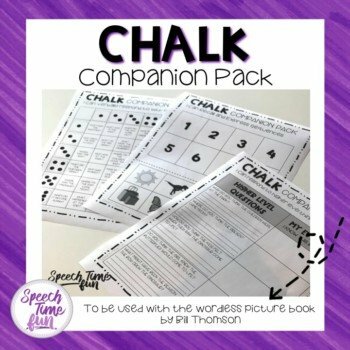 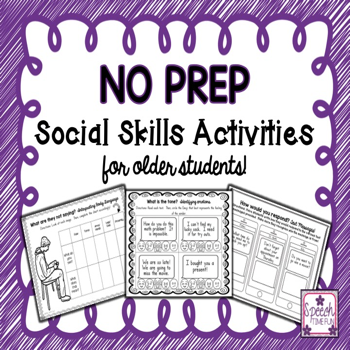 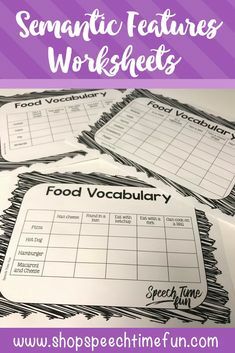 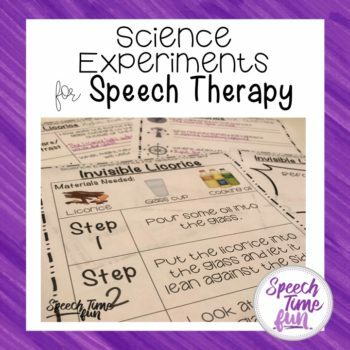 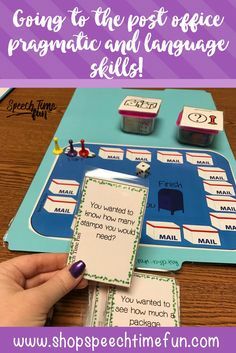 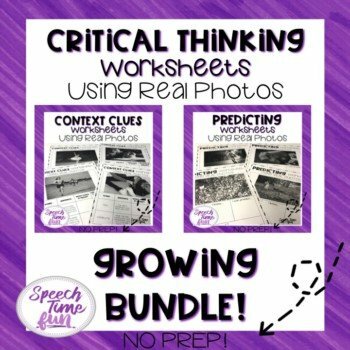 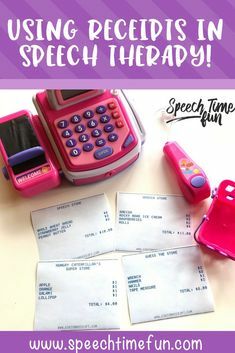 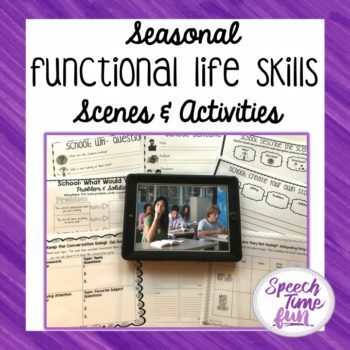 -Writing worksheets: A variety of worksheets are provided to encourage higher level thinking such as predicting, drawing conclusions, cause/effect, and explanations.